The brake caliper guide pins are two round metal pins on each brake caliper where the brake piston assembly sits. 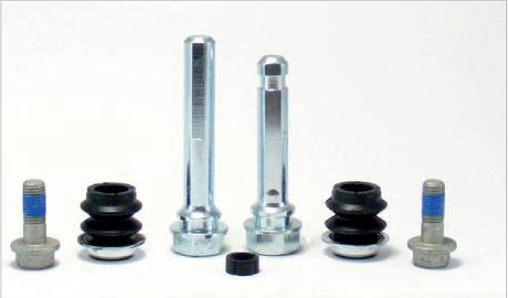 They are called guide pins because they are responsible for guiding the the brake caliper through its range of movement when the brakes are applied and released. Suitable for Lexus IS220 and IS250 models and are bolted to the caliper body.